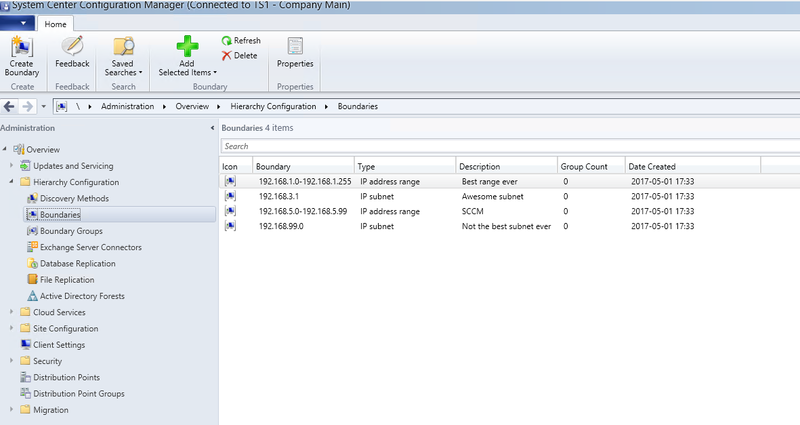 We want to be able to import the boundaries we exported in to .CSV files from the https://timmyit.com/2017/04/25/export-boundaries-from-sccm-with-powershell/ guide and have them to show up in ConfigMgr. 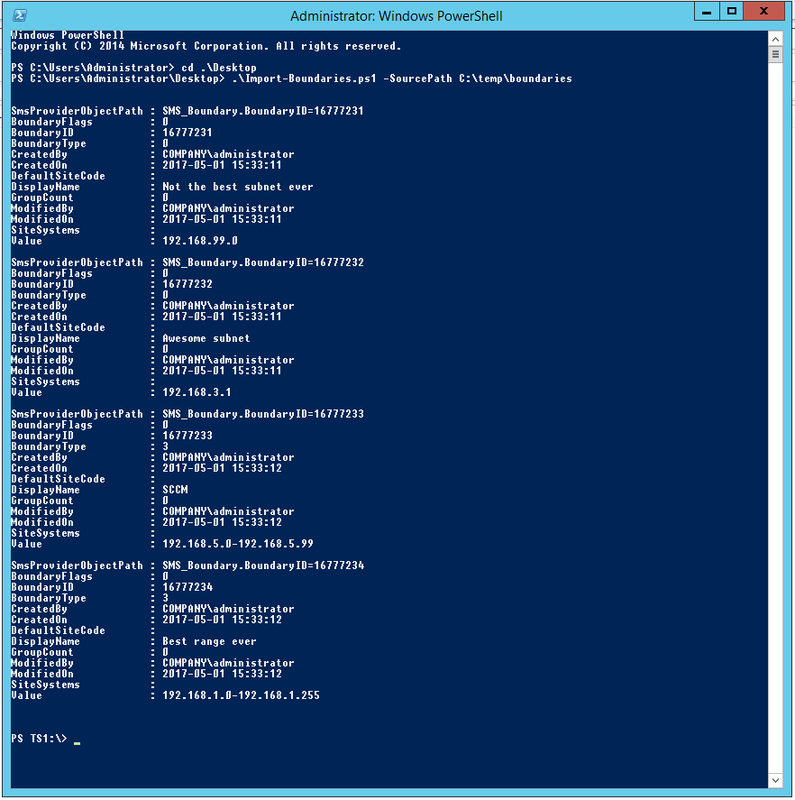 There’s no built in feature to export and import boundaries as of now in ConfigMgr so that’s why we turn to powershell to help us out with this process. Import Subnet an IPRange Boundries to CSV files. This script needs to run on the siteserver to work. New-CMBoundary -Type IPSubnet -Value "$($Subnet.Value)" -Name "$($Subnet.Key)"
New-CMBoundary -Type IPRange -Value "$($IPRange.Value)" -Name "$($IPRange.Key)"
Once the script finished the boundaries should be imported to your ConfigMgr environment. Remember that you still need to create boundary groups and link them to your boundaries once your done with the import. C:tempImport-Boundaries.ps1 : A parameter cannot be found that matches parameter name ‘SourcePath’.